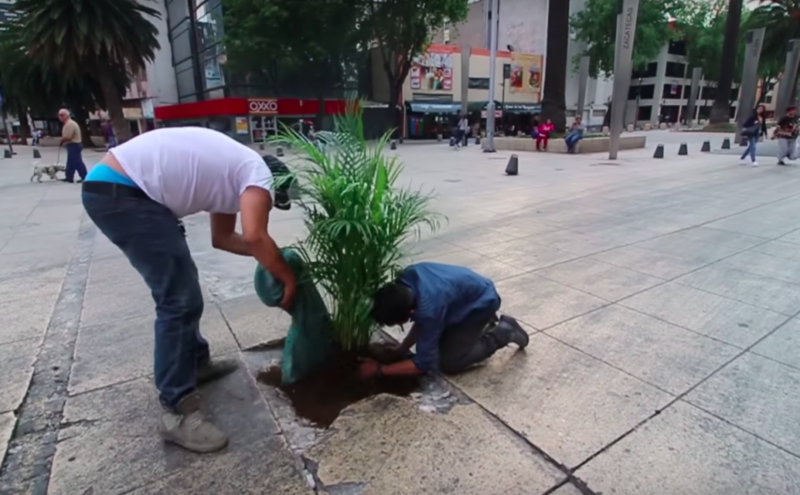 Drawing inspiration from a similar project in London, the bloggers known as ‘Mensajeros Urbanos’ (‘urban messengers’) have taken to the streets of Mexico City filling potholes with living plants. 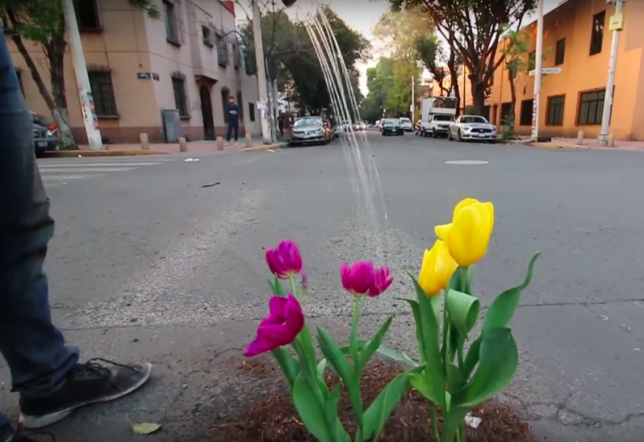 Each crack in the pavement gets a little bit of soil and a colorful arrangement of tulips and ferns, calling attention to areas of the street that need a little TLC while brightening up the city. The bloggers documented the process in a video that’s earned nearly 40,000 likes on YouTube. 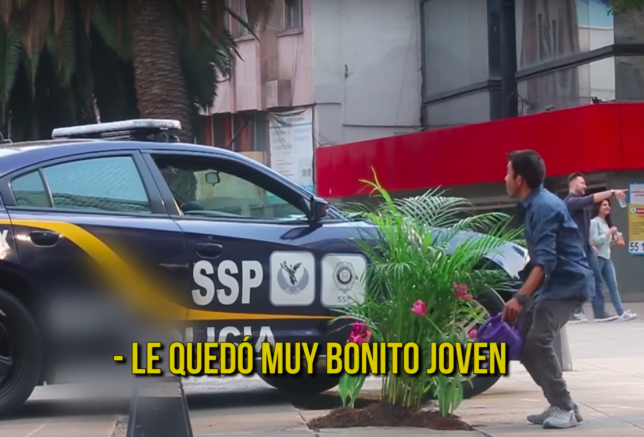 Even if you don’t speak Spanish, it’s worth a watch, as the idea is pretty universal and their actions speak for themselves. Onlookers seem pretty thrilled with the results. 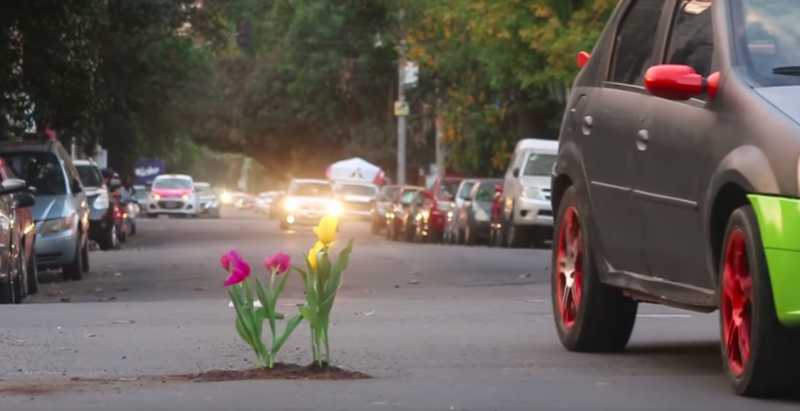 It’s not often that a cop approaches someone in the midst of carrying out an urban intervention and praises their work.